A new massive eight lane toll road has recently been proposed. Five possible routes through Marion County are being considered by Florida DOT. Two of those routes run directly through Live Oak International. We need your help to tell FDOT & Gov. Scott that this is a terrible idea! On April 26, for the first time, the Florida Turnpike Enterprise released a map showing five possible routes through Marion County south of Rt. 27 and two routes north of Rt. 27. The FDOT is saying that these are only “preliminary” routes and are subject to change. Do not be fooled. They say the Coastal Connector is in the early stages, that the roads won’t be built for many years and are not yet funded or permitted. This project was started in 2016. They are already in 4 of 7 stages. In the fall of 2018 they will present their findings and make recommendation for where this turnpike should be built. The time to make your voice heard is now! Right now…! Two of the routes proposed (C2 and D1) for the new toll road would run directly through the home of Live Oak International. It would cover the grounds of the Tournament in pavement. 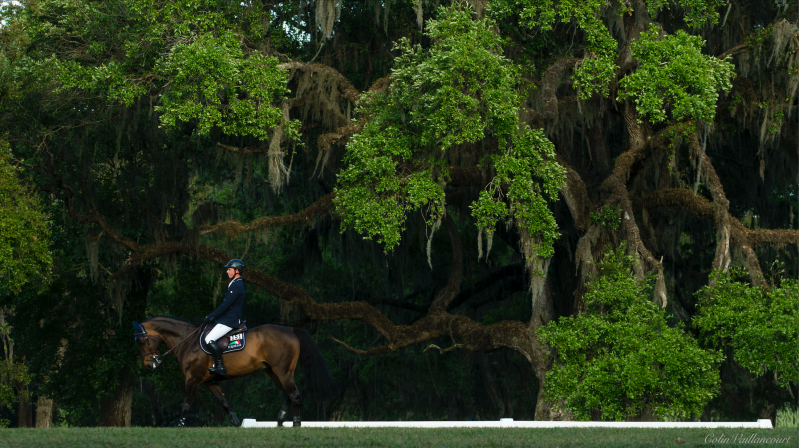 The Live Oak International provides millions of dollars to the Ocala economy each year and is the largest spectator event in Marion County. 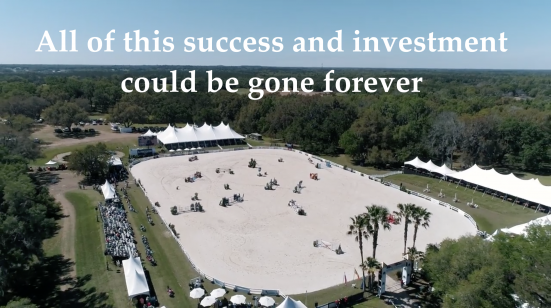 The Tournament is a leading show jumping and combined driving venue in the nation. Tell Florida DOT & Gov. Scott that destroying the scenic farmland, including the wonderful home of Live Oak International Tournament is unacceptable. The FDOT is taking public comments and we need to make sure they hear loud and clear that this is crazy. Click on this link to travel to the FDOT comment page. Look for the mail icon in the upper right corner and click that to make your opinion known. After that, let Gov. Rick Scott know you’re opposed as well. The Florida DOT must stop the proposed Coastal Connector project through Marion County immediately. While we all want safer roads, and we want our area to thrive economically, the cost to taxpayers and future generations by destroying wetlands and watersheds, people’s homes, farms, businesses, important historical, ecological and environmental areas is not acceptable. More study is needed to learn of alternative routes that will respect the important equestrian based economy of Marion County. Running toll roads through horse farms makes no sense.